Today more and more individuals and companies in the UK are turning to highly trained security or protection dogs to guarantee the security of the people and things most important to them. We pride ourselves on employing the very best dog teams, controlling the best trained guard dogs and patrol dogs. Our handlers and dogs are a unique asset with many benefits over CCTV and traditional security guarding. There is no doubt security dog handling is a cost effective answer to protecting larger areas or open space where multiple personnel are required. 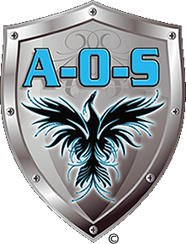 At Alpha-One Security Services Ltd, our handlers are trained and qualified to B.I.P.D.T level 1 & 2 and N.A.S.D.U standards for guard dogs. We provide first class protection with our dogs for a wide range of applications, from event security to private residential patrols. With our training facility only 20 miles from head office, our dogs and handlers are not just trained but undergo intensive refreshers throughout the year to ensure they adhere to the governments strict guidelines. As a company we have made it our policy to ensure our insurances extensively cover both our handler and our dogs. Yes, we are also insured for your safety as well. Our dogs are not just security dogs they are also our pets, they live indoors with families and children their specialist training ensures they are pets first and only become security dogs when they are on duty. None of our patrol K9’s will ever be found living outside in a kennel, just like our handlers our K9’s are part of the Alpha-One Security Services Anglia Ltd.’s family. There are various levels and types of training that can be undertaken depending upon your requirements and perceived level of risk. These escalate from simply having a dog that ‘looks the part’ to teaching the dog to bark and look aggressive on command or at the approach of strangers. For most owners and handlers this psychological deterrent is more than sufficient for their needs – after all who in the right mind would want to take things further, should they see a dog barking and snarling at them? Possessing a dog that has been trained for security or personal protection places a huge responsibility on its owner or handler, who should have a thorough understanding of the implications posed upon them through the Dangerous Dogs Act 1991 and the Guard Dogs Act 1974. Since once serious training has begun, you simply cannot wind back the clock and erase what has been learned – as much of the training will remain throughout the animal’s life.